Sacramento-California, perhaps the state most identified as resisting federal overreach by the Trump administration, is acting to reinstate popular broadband privacy protections enacted by the Federal Communications Commission (FCC) at the tail end of the Obama administration. The Republican Congress, in one of their few actions to date, invoked rarely used Congressional Review Authority (CRA) to revoke the regulations after passage, an act wildly unpopular with Americans who opposed it by a 74% margin according to You Gov’s April 2017 poll. Assemblyman Ed Chau, the chair of the Assembly’s Privacy and Consumer Protection Committee and 49th Assembly District representative (Monterey Park/Alhambra) late-introduced AB 375 to allow California Internet users to affirmatively consent to the sale of their browser and search data by their Internet Service Providers (ISP’s) and to prevent pay-for-privacy schemes like that recently floated by AT&T, that condemn less affluent customers to the potential involuntary sale of their browser data at the discretion of their ISP. The path through the CA Legislature is never entirely simple, even for such an important and popular bill as AB 375. The late introduction necessitated by the abrupt actions in Washington DC, has complicated things even further. After AB 375 hit the CA Senate, it had a lengthy stay in the Rules Committee and then was referred out at a very late stage in the calender to three different Senate policy committees, a forbidding gauntlet. Due to the broad popular support for the bill’s consent provisions and prohibition on pay for privacy plans, the bill was able to successfully pass through all three committees, getting waved through one without a hearing and then meeting with approval in both the Senate Utilities and Senate Judiciary committees on the same day. 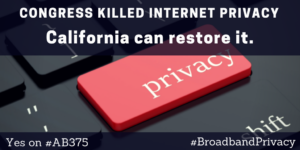 On July 18, 11 Democratic senators and 1 Republican senator supported AB 375 and broadly agreed on a plan of action: to amend the bill so it tracks precisely the language of the FCC broadband privacy regulations developed in Tom Wheeler’s FCC and signed by President Obama in 2016, and to retain a prohibition on pay for privacy plans in the State of California. The bill has returned to the Rules Committee, chaired by Senate President Pro Tempore Kevin De Leon and under the supervison of the Judiciary Committee, for those specific amendments to be codified. That is expected to be completed in early August, at which point the bill will proceed to the Senate floor for a vote and then to Governor Brown’s desk. 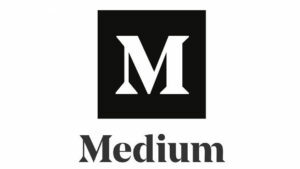 Media Alliance director Tracy Rosenberg commented: “The breadth of support shown in the California Senate for giving Californians the protections Congress took away from them, as well as enhanced protections against pay for privacy plans, was very encouraging to see. One thing CA residents agree on, across party lines and partisan divides, is that they worry about their online data and want more ability to control where it ends up. AB 375 provides that essential consent process – for everyone”. Search data and browsing history provides the most complete and comprehensive information on an individual’s most sensitive and private concerns. Internet users can choose which edge providers to access by selecting to provide information within platforms like Facebook, Twitter or Instagram or not, and by selecting their choice of search engines or browsers, including some like Duck Duck Go or Tor, that provide enhanced privacy protections. But they cannot use the Internet without using an Internet Service Provider (ISP). 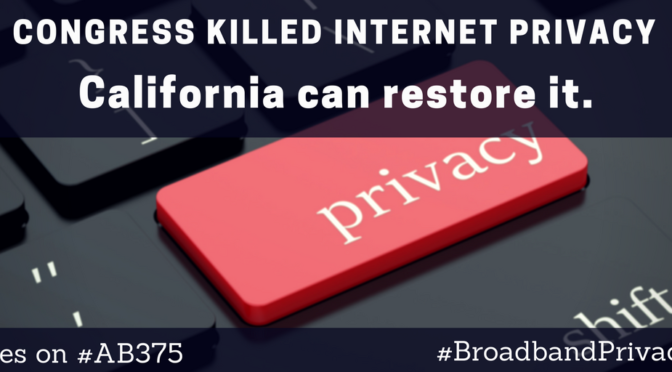 AB 375 would prevent ISP’s from monetizing their crucial rule as pipes by charging users who value their privacy an additional fee to shield themselves from the sale of their data to data brokers. Many users, based on research polls, would choose to do exactly that, with large increases in the number of Internet users adopting Virtual Private Networks (VPN’s) at their own cost to limit the marketing of their data. But not all Internet users can afford to purchase supplementary privacy protections that might need them. We exacerbate an already harmful digital divide and technology gap when we make the Internet less accessible, less affordable, less useful and less safe for low-income communities. For the complete current text of the bill and current endorsers, click here. AB 375 has been endorsed by newspapers across the state including the Sacramento Bee, San Diego Union-Tribune, San Francisco Chronicle, Santa Rosa Press Democrat, San Jose Mercury News, Fresno Bee and Monterey Herald, as well as some of the state’s biggest privacy and civil rights groups.